Leftover rice is a staple in my home simply because it is easy to fix, easy to reuse and delicious as an added ingredient. Adding rice to recipes makes it more hearty and filling, without adding a ton of cost to the dish. If you are throwing away extra rice, then you are throwing money around. You know I don’t like that around here. My family makes extra rice when we are cooking so we can then reuse it later in the week. Remember, cook once – eat twice is our moto over here. Don’t worry – your family won’t even know they are eating left overs. Stuffing and rice go together perfectly and it can really give the stuffing a bit more kick. Many folks like to add cajun rice to stuffing for a different flavor profile. Rice can make the dish more filling and give it a wonderful texture as well. Leftover rice is perfect for most any Mexican dish, but using it to stuff burritos is truly yummy. The rice blended with some cheese, tomato, refried beans and onion will make your taste buds explode. Leftover rice keeps perfectly fine and is a quick and easy addition to your burrito building fun. This is a favorite dish in our family and it is so easy. Simply take leftover rice and add a sausage, kielbasa or even hot dog in pinch. The meat soaks into the rice and the flavors merge perfectly. It is one of the best ways to put together a really quick supper that the kids will love. Add in a veggie or two and you have a great little casserole of sorts. One of my favorite meals is to take green peppers and add leftover rice after cooking. First take the tops off your bell peppers and cook them in the oven or on the grill. Sautee some onions and squash and then add them to the rice. Then mix it up well and add the mixture to each of your cooked bell peppers. The one danger here is that you won’t have enough leftovers to feed everyone wanting seconds! 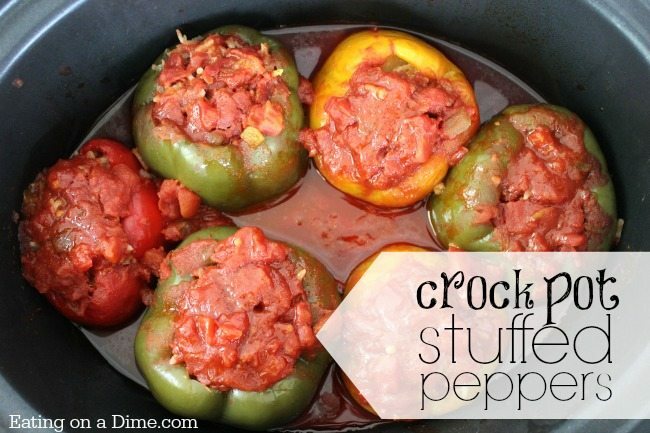 If you haven’t yet, make sure you try our crock pot stuffed peppers recipe. 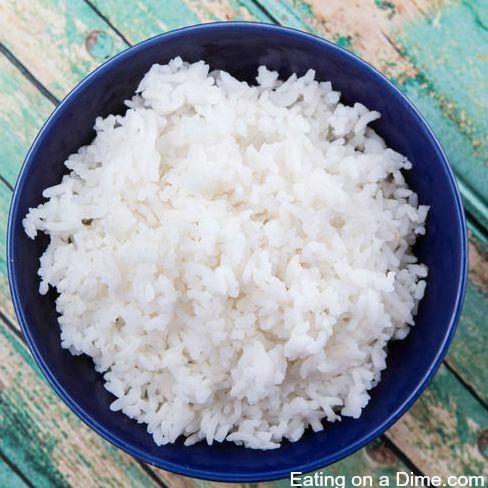 It is really easy to make with left over rice and your family will be begging for more. 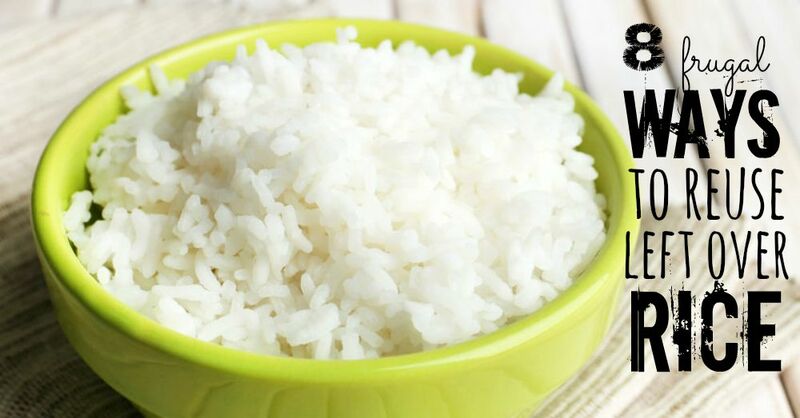 Did you know that you can actually freeze left over rice? We do it all the time. 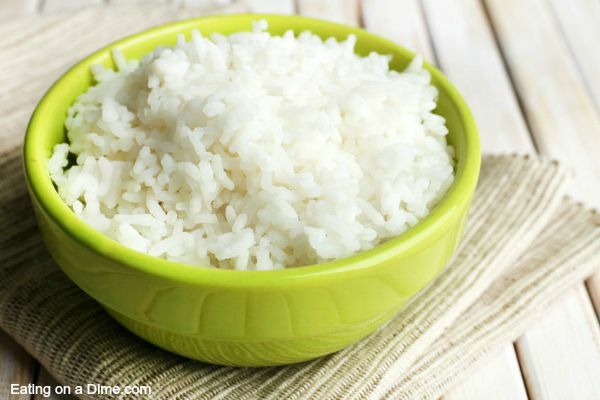 Head on over here to learn how easy it is to freeze rice and then reheat it. Spanish rice is already really easy to make. I have a delicious Spanish Rice recipe here. However, you can make it even faster with left over rice. Add the salsa, garlic salt, and cumin and heat it up in a skillet. You can have Spanish rice ready in less than 5 minutes! 8. Add it to your favorite soups. My family loves rice in soups. We really do. In fact, one of our favorite soups is this crock pot stuffed peppers soup. 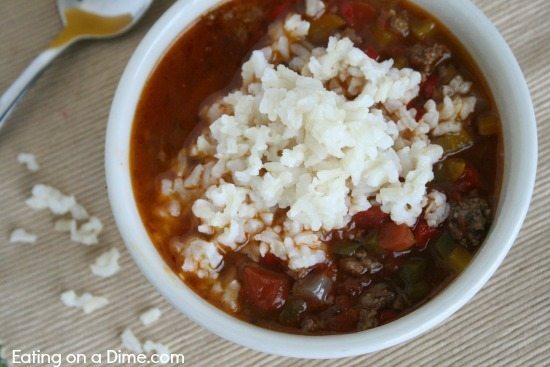 You can use your left over rice to add to your soup making this dinner even easier. This is perfect for a crazy weeknight meal. 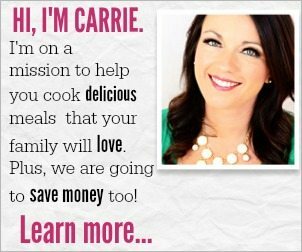 Make sure you also try our yummy Crock Crockpot Taco Rice Soup. It is also perfect to use your left over rice. Well, there you have it! You officially have no reason to throw away that left over rice. Got left over rice? Next time, put it in the fridge (or the freezer) and use it later in the week. I promise your family will never know they are eating left overs. Healthy Banana Bread recipe that tastes amazing!